Welcome to the Country Boy Motel in Coronach, Saskatchewan. Guests of the Country Boy Motel appreciate our close proximity to the Popular River Plant, Popular River Mine and Big Muddy Valley. 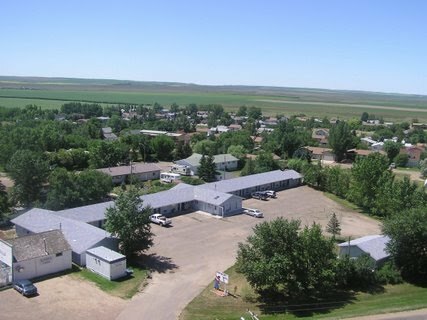 Clean rooms, great rates and peaceful setting are your guarantee for a comfortable stay in the town of Coronach. The country Boy Motel offers a variety of guestrooms sure to meet the needs of every traveler. Guests can enjoy traditional rooms with one or two double beds to the more high standard rooms offering one large queen size deep sleeper bed and the best view of the countryside. Come and stay with us and enjoy our inviting spacious guest rooms which features all the modern facilities which includes direct dialing telephones, cable television, private bath and shower, fridge. Jacuzzi suites and high speed internet. We will do all we can to make your visit pleasurable and memorable. As our valued guest you will enjoy the best in comfort and convenience that Coronach has to offer. Our Inn features a total of 25 spacious guest rooms located on the ground floor. While in Coronach you my try one of the attractions such as the Coronach Golf Course, Popular River Plant Tour, Popular River Mine Tour and/or the Big Muddy Tour. Cancellation Notice: Your cancellation will be processed without charge if received within 48 hours prior to your arrival date. If you do not cancel your reservation, and you do not arrive on your reserved day, you will be charged one night room and tax and any remaining nights previously reserved will be released.